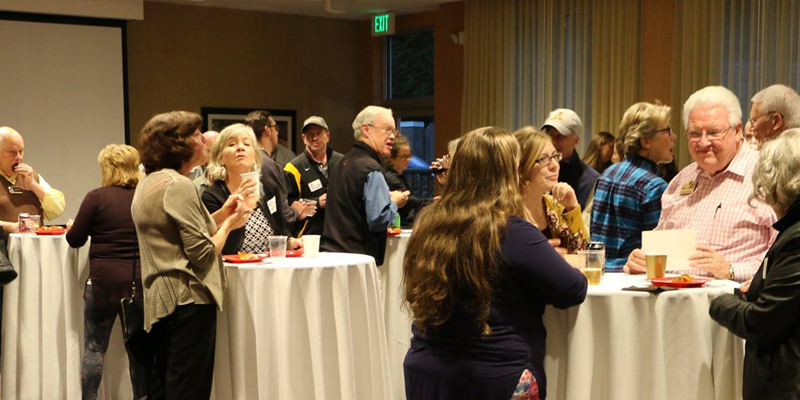 Networking and relationship building remains one of the most utilized aspects of membership in the Boone Area Chamber of Commerce. We are excited to announce the 2019 Business After Hours Schedule. These events not only provide a perfect setting for business-to-business marketing, but they also serve as an excellent product and service showcase for the host. Please note, each After Hours will occur on the 2ND THURSDAY of every month. Further details and opportunities to RSVP will be sent via e-mail in the weeks leading up to each event. Mark these dates in your calendar, get your business cards ready, and prepare to grow your contacts at Business After Hours. ^ Combined event with Blowing Rock Chamber of Commerce. Please note this event is on a Tuesday. If you have questions, please contact the Boone Area Chamber of Commerce at 828-264-2225 or email david@boonechamber.com. not-for-profit 501(c)(6) organization, and is not affiliated with any municipal or county government. We are a Carolinas Accredited Chamber by CACCE and serve over 750 members across the High Country. The members of BACC invite and encourage you to join! By working together, we can achieve our mission to maintain and enhance our industry as a whole. All membership applications for the BACC must be approved by the Board of Directors. All memberships are company based and individuals cannot join BACC.